A single room: one single bed. 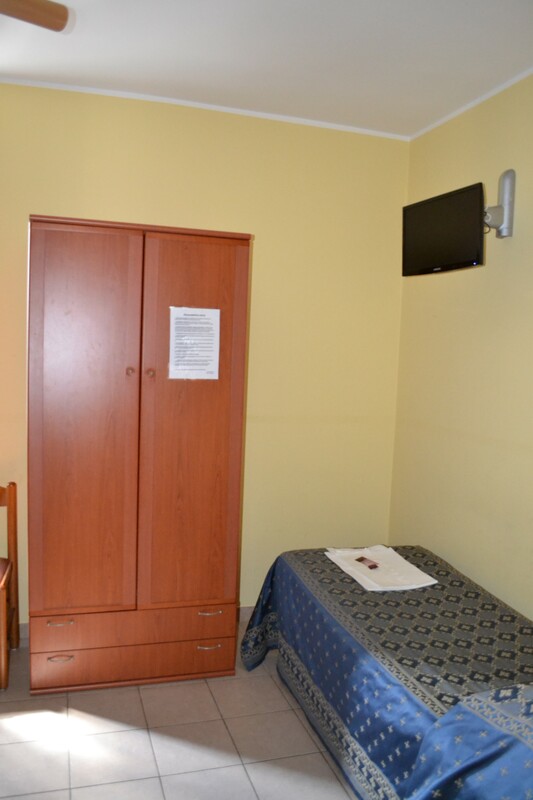 A double room: one double bed or two single beds. 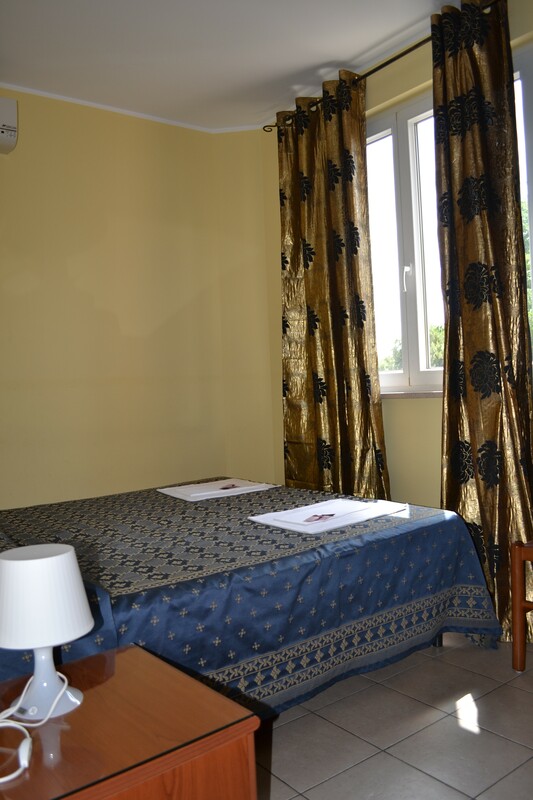 A triple room: one double bed and one single bed or three single beds. 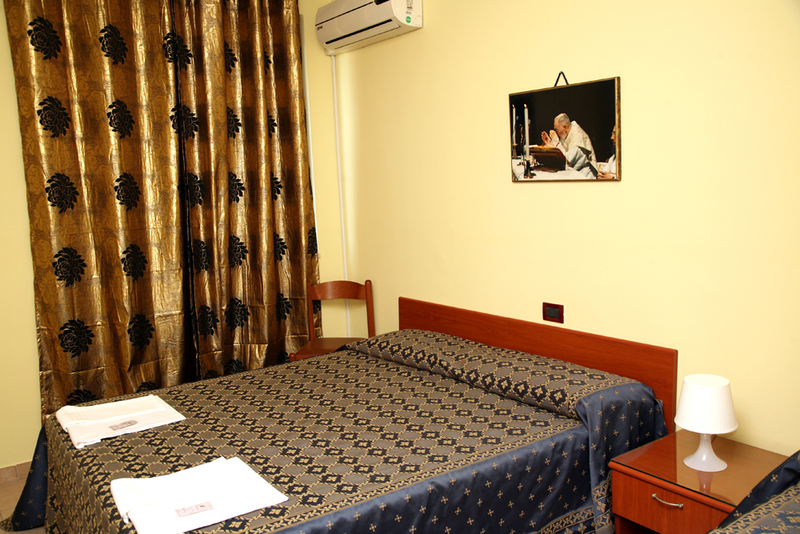 A quadruple room: one double bed and two single beds or four single beds.